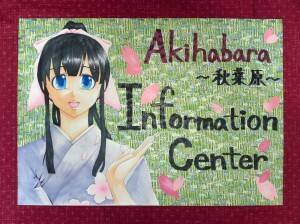 Have you already stopped by the Akihabara information center?! Thank you for people who came here. And welcome to everyone who planto come Akihabara. If you have some questiions, please ask us!! 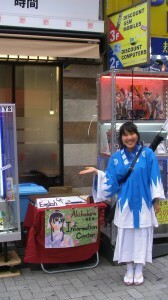 The information center for people from other countries opened last Sunday at Akihabara. If you have a chance to come to Akihabara, please stop by here. and we will put on various costumes every time!! Need more details? Come to the information center. 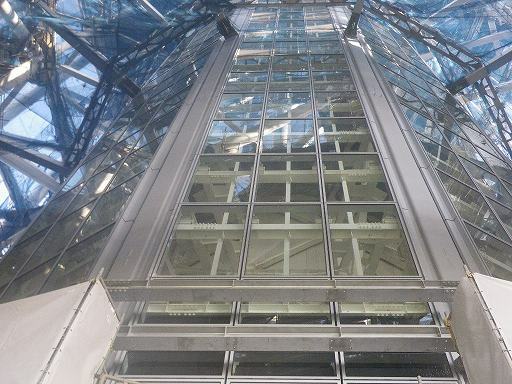 You can find it in front of the “Takarada Musen” which is near JR 電気街口(denkigai guchi) . We open this information center on Saturday and Sunday. ↓↓　This is a landmark of the information center. Why don’t you enjoy Akihabara with us?! 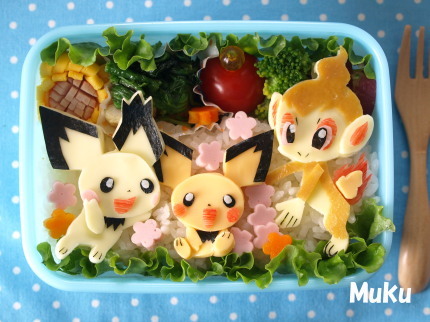 There are so many businesspersons who bring hand-made “obentoes” or “bentoes” (lunch boxes) in Japan. It’s really good for them to do it because it saves their money and is beneficial to their health. 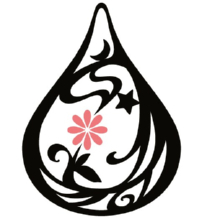 And some of them take more time and use their ingenuities to make their original bentoes called “Chara-ben”. 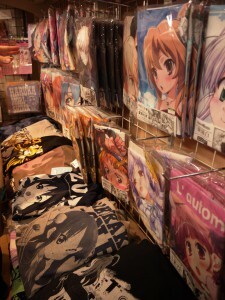 The sacred place for anime & game fans called “Akihabara” or “Akiba”, the Japan’s largest electronics quarter. Surveys show the increasing number of foreign tourists who visit there, as the interest in Japanese pop culture grows worldwide. 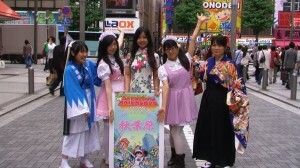 We are the organization called “Akibaland Tours” who gives guided tours to you, Akiba lovers from abroad. We give you trilingual tours in English, Chinese and Japanese. No other tours will do that. Moreover, our guides are all COSPLAYERS!! 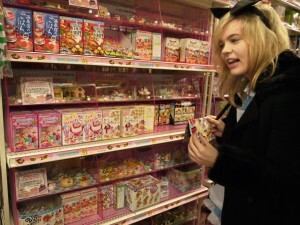 Akihabara is the 3D wonderland where popped up from Anime or manga to the real world. You can gather cutting-edge informations there. So let’s enjoy Akihabara together! Akihabara ni oide yo!